Melting moments of May have turned up the heat a notch higher…..Weekend Breakfast Blogging, the event started by the lovely doctor at Saffron trail, stops by at Escapades this month. Yes!! 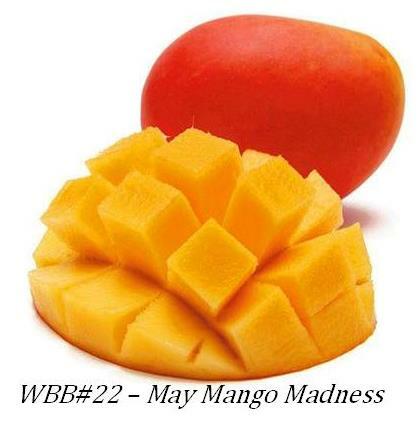 WBB# 22 will spring to you from here…..
Mangoes – the national fruit of India (and Pakistan, Bangladesh and Philippines – source Wikipedia), is said to have a mention in the Ramayana and Mahabharata…..the mango is believed to be a native of india though it is prolifically grown in most south Asian countries…..a tropical fruit with more than 30 species, the mango is a rich source of nutrients, particularly high vitamins A, C and E and is also a rich source of dietary fiber and carbohydrates. While pages and pages can be written about the taste and texture of the luscious ripe fruit, the raw form of the fruit is also put to use in pickles, chutneys , dried and used as a souring agent (aam chur) etc. So put fish out your thinking caps then (I doubt it will be needed though)…..and join me in the may mango madness…..send in your recipes which have mangoes as the focal point in a breakfast preparation(vegetarian including eggs)….cooked, raw, sliced, grated, pulped, pureed, cut or squashed….Mangoes of any variety, used in any form…..cakes, muffins, breakfast breads, cookies, beverages, salads, chutneys, salsas…..and am sure much much more that can be done with this king of fruit….. Bring it on….the rules for WBB#22 – May Mango Madness are as below. There is no limit on the number of entries…so go ahead…flood my inbox!! this is my link will mail you too,.. I have made Raspberry Mango Smoothie and have sent you the details. Hope you got it. Thanks. This sounds fabulous, count me in! I just bought two raw mangoes but what to do for breakfast. Thinking cap is on!! Does it have to be a Breakfast recipe?? I just found out what ‘WBB’ stands for!! I’m not into fruits at all so i’ll have to think REAL HARD!!!! oh wow!!!!!! !rgt now my mind is going crazyyyyy remembering all the events! hehehehe…..oh there r so many. will definitely think of something delishhhhhh to this event!!! !anything for mangoes! what say? 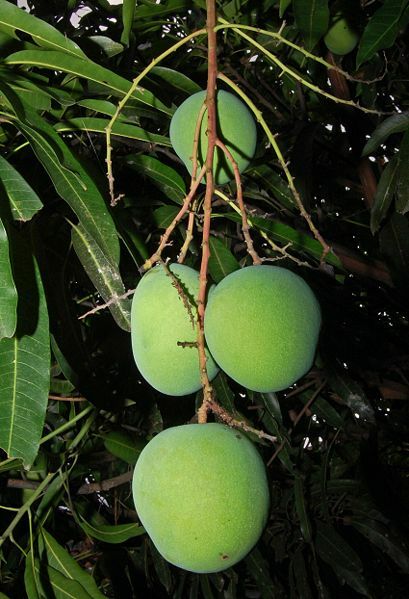 Too good pics of mangos. I just love to eat mangos. I will try to come up with some recipe with this theme. What a great event! We’ll try to come up with something! Thanks for the info! yay!! for google!! i hope you have inspiration enough to flood me with entries!! I have 2 recipes in drafts… will post both soon. I’m with Srivalli on this one. I will try to whip up something. Thanks for hosting this event. I love love the theme..:D Mangoes being my fav fruit.. 🙂 definitely will try to whip up sumthing for u. good luck hosting Arundhathi! oohh..i already thought of something…lets see how that turns out!!!! priya…that was quick….ooohh cant wait!! nice theme for wbb. Mangoes for breakfast? sounds interesting. count me in. Lovely pic..thats a nice theme. thank you anjali….dish out something for us wont you?? oh!! you are a girl after my own heart…as a child i would insist to amma that they actually called out to me and asked me to eat them!! 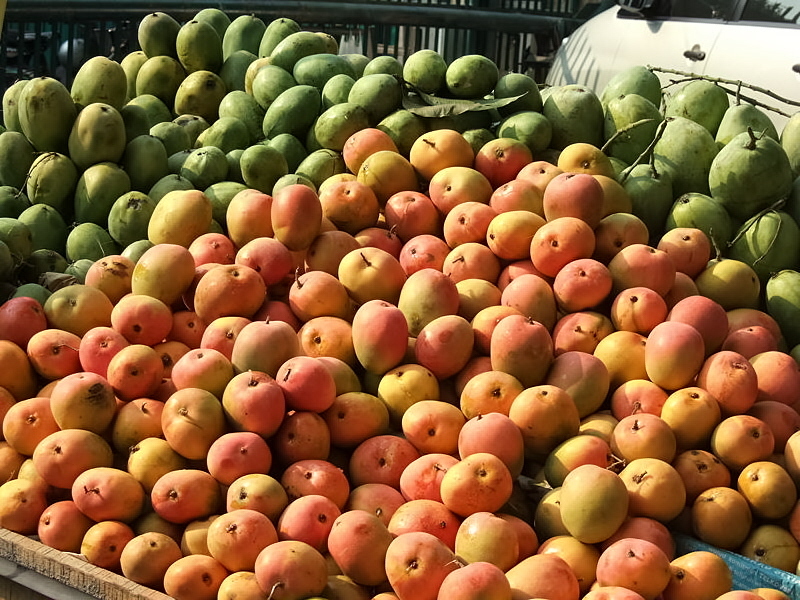 Mangoes for breakfast… hmm… I have to think hard on this one… A smoothie… a mango salsa with a wrap… ok, may be not that hard… 🙂 Good luck hosting..
What a great idea! I have so many things I want to try! 🙂 Would eggs be allowed in the entries? Or is it completely vegetarian? Dear Namesake, yes eggs are allowed….am excited to see what you will dish out!! valli my dear….dont think i will let you off the hook like that….for the queen of innovations, this “eat just like that for breakfast” is too tame no?? nice theme…hope to come up with somwthing provided i get good ones here!!!! Darling, you can use mangoes in any form….fresh, preserved, pureed….so go ahead and surprise me!! Fantastic logo. A very apt theme for the season. glad you liked it jayashree, the pic is from wikicommons…..so what are you going to cook up?? Lovely Logo and pics sweetie! Thanks for taking up the hosting this month. wikicommons ki jai ho!! honoured to have a go at this one! !